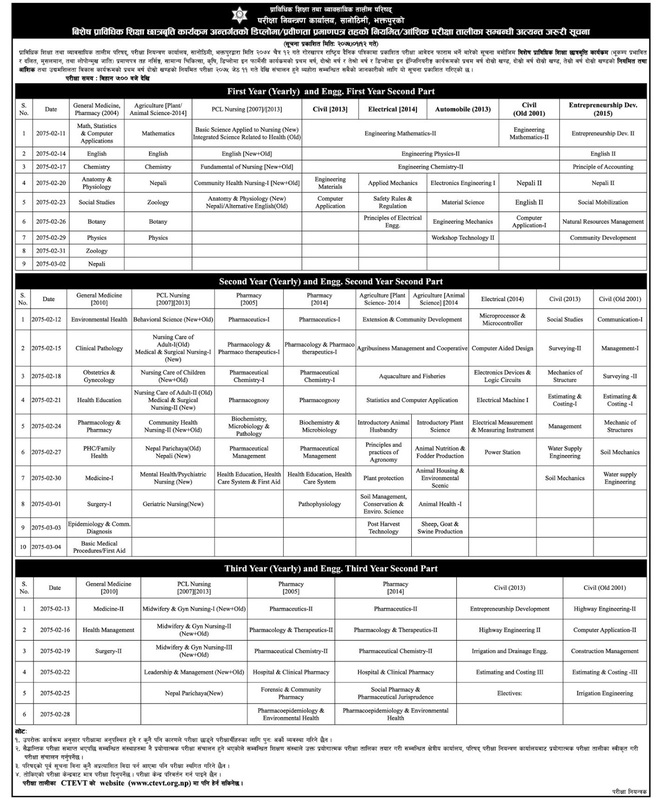 Council for Technical Education and Vocational Training [CTEVT], Office of Controller of Examination, Sanothimi, Bhaktapur, has published a notice regarding the exam routine for special technical education examination in Diploma and Certificate Level under the Scholarship Program. Applicants who have submitted an application form under the Special Technical Education Scholarship Program (for earthquake affected people and students of Dalit, Musalman and Loponmukh tribes) are notified to attend this examination for Nursing Certificate Level, General Physician, Agriculture, Diploma in Pharmacy First Year, Second Year & Third Year and Diploma in Engineering First Year Second Semester, Second Year Second Semester and Third Year Second Semester. The examination will be held on Jestha 2075. The examination start date is 11 Jestha, 2075 [25 May, 2018] and end date is 04 Aashad, 2075 [18 June, 2018]. 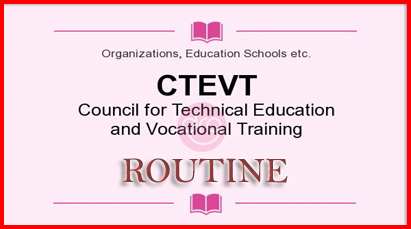 0 Response to "Routine For CTEVT DIPLOMA & PCL Level Under Special Technical Education Scholarship Program 2075"